Called in to consult after a young woman disappears, Tracy Crosswhite has the uneasy feeling that this is no ordinary missing-persons case. When the body turns up in an abandoned well, TracyÂ’s suspicions are confirmed. Estranged from her family, the victim had balked at an arranged marriage and had planned to attend graduate school. But someone cut her dreams short. 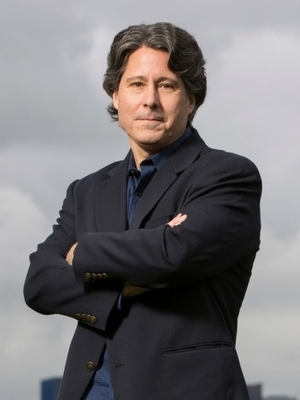 Robert Dugoni is the New York Times, #1 Wall Street Journal, and #1 Amazon Internationally Bestselling Author of the Tracy Crosswhite Series : My Sister's Grave (2014) , Her Final Breath (2015) , In the Clearing (2015) , The Trapped Girl (2016) and Close to Home (2017) . Other novels include the David Sloane series: The Jury Master, Wrongful Death, Bodily Harm, Murder One and The Conviction. Dugoni is the winner of the 2015 Nancy Pearl Award for Fiction, has twice been nominated for the Harper Lee Award for Legal Fiction, was a 2015 and 2017 International Thriller Writer's finalist for thriller of the year, and a 2017 Mystery Writers of America Edgar Finalist for The Seventh Canon. His books are sold world-wide in more than 30 countries and have been translated into dozens of languages including French, German, Italian and Spanish. Dugoni's first in the Tracy Crosswhite series, My Sister's Grave (Nov. 2014) , became a months-long #1 Amazon Bestseller in the United States, France, Italy, Germany and in the UK, as well as a New York Times and Wall Street Journal Best Seller and won the 2014 Nancy Pearl Award for fiction. Library Journal gave it a Starred Review and said it "Combines the best of a police procedural with a legal thriller, and the end result is outstanding...Dugoni continues to deliver emotional and gut-wrenching, character-driven suspense stories that will resonate with any fan of the thriller genre."